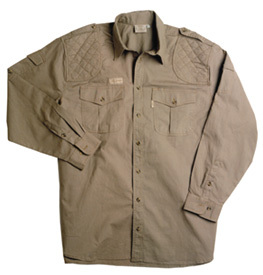 New PRO SAFARI Padded Safari Shirt. Dual padded with diamond quilted pads and very comfortable, 100% lightweight cotton. Designed for maximum comfort.